A Microsoft machine seems to be infected with some GAIN spyware. I thought I’ll just go and download Microsoft’s Spyware instead. 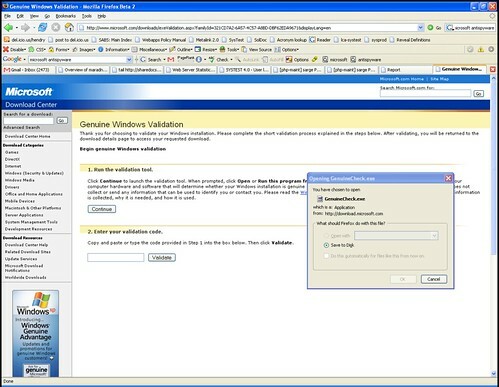 Except it wants you to validate your Windows with an EXECUTABLE. How scary is that? I swear I could choose to avoid the validation check in the past. So how do I do it now?